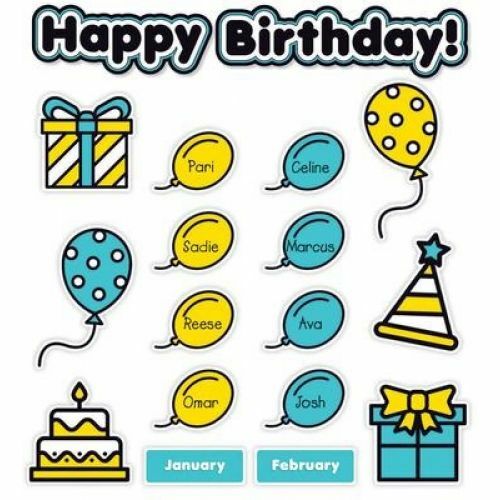 Includes: Happy birthday! 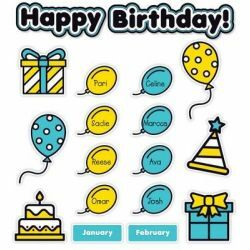 banner (29" x 4.75"), 12 month labels (7.25" x 2.68"), 10 birthday accents: balloons, presents, cakes, hats, 36 balloon student labels and, teaching guide. 59 pieces.